RE/MAX Coast and Country in Brookings, Oregon is the best place to start your home search for Southern Oregon Coastal Real Estate and Homes for Sale in the Brookings, Harbor, Gold Beach, Bandon, Port Orford areas and beyond. 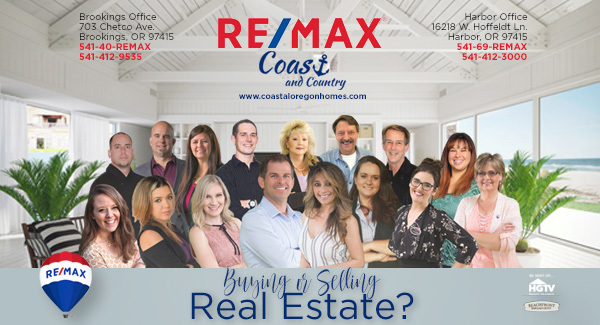 RE/MAX Coast and Country is an all-in-one real estate company focused on maximizing results in residential and commercial real estate sales in the Southern Oregon Coastal area. Whether you're new to the area and need help settling into the perfect neighborhood, or you're selling your home and looking for a larger one, start your search here for any home in our region ~ from Brookings to Bandon and everywhere in between. Every home listed on the Oregon Regional MLS is at your fingertips. We help buyers find their ideal property—whether it be a general residential home, a cottage by the sea, an oceanfront luxury home, vacant land building site, distressed/foreclosure or commercial property. The experienced real estate professionals at RE/MAX Coast and Country are ready to go to work for you and help you get the most out of your residential home sale, vacant land or commercial real estate sale. 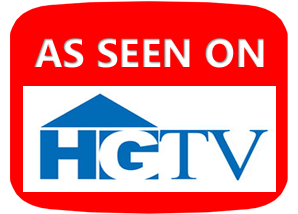 We can help guide you through the process, help you prepare your home to sell, and ensure that your home sells in a timely manner for the optimal price you deserve. Abilities matter. Production matters. You want a real estate professional with experience, education, and a proven track record for achieving results through extraordinary service. On all counts, RE/MAX Coast and country is a solid place to start your search. 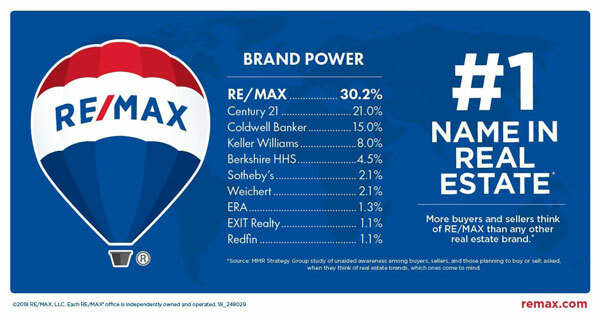 Nobody in the world sells more real estate than RE/MAX. We're ready to go to work for you and deliver the kind of results you expect when you're working with the best. Only one question remains—where do you want to live?